This is a simple post. Dr. Kent Brantly is a post-resident working at ELWA hospital in Liberia, who has been caring for patients in the Ebola outbreak there. He has now contracted the disease itself. Very serious and very difficult to pull through. His wife and two children have been evacuated out of country. We met their family in Greece this last year. We were very interested to hear his news, since he is part of the same program we did in Kenya, and the Cropseys were our delegated to look at his hospital in 2010 as a long-term home for us before we decided on Burundi. 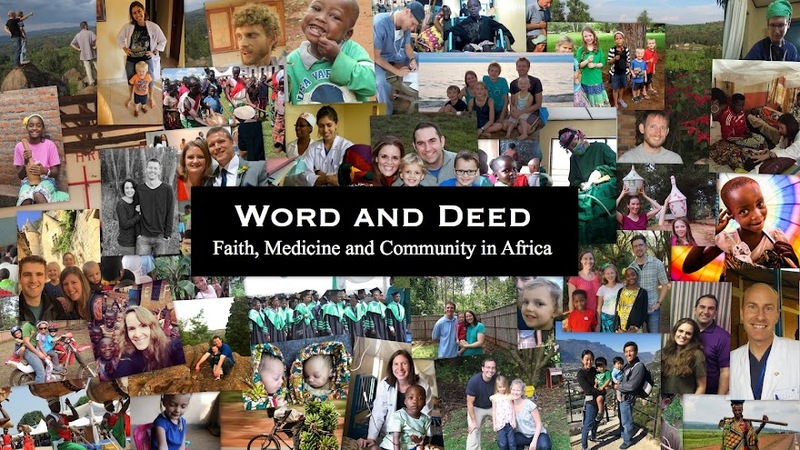 Please pray for Dr. Brantly and his family, and the over 1000 confirmed cases of Ebola in this outbreak. Here is the CNN link. No one told me that the road to fluency in a foreign language would include a kind of nether-land where you are fluent in no language at all. Fluency, as I have learned in this process is way more of a continuum than I had ever imagined. Even among native speakers, there is a spectrum of fluency. And regarding English, I'm not so much where I once was on that spectrum. And by the way, these teammates of mine are no help. Exemple: I could easily be sitting with them some evening and say something like: "Did you have a good voyage? I was wondering if you would rest in Bujumbura another day." Some of you probably think that sentence sounds a bit weird for normal conversation. "Voyage"? Was he getting on board a ship to pass through the Strait of Magellan (which I recently learned is called the détroit de Magellan)? Was he packing a covered wagon to move to Oregon? Why did he need to "rest"? Is Buja a good place to rest (Answer: not really)? No actually, voyage just means "trip" and rester means "to stay". But here's the thing. No one in the room thought that was at all awkward, thus we may be doing it dozens of times a day without knowing it. Typing is another thing. I had never given much thought to keyboards in foreign languages, but French having many accents or other slightly altered letters (é ù ô ç ï...), I made a decision to start using the French keyboard setting when I was typing French. Seen here, it is the "AZERTY" keyboard as opposed to the Anglo "QWERTY" keyboard. It's not terribly different, but different enough (which seems to always be the heart of the problem), and in preparing lots of French lectures, I've gotten as comfortable with the French keyboard as I am with the English keyboard. The problem is that I have achieved this in part by becoming less comfortable with the English keyboard. Seriously, even as I type this, I haven't been this bad at typing since my sophomore high school typing class. Punctuation is right out. As mentioned before, this remains mostly funny, and just a little bit tragic. Some days, after arduously persevering in French all day long with students, I'll come home, my mind wistfully full of the unconscious ease of communicating with another native English speaker, eager for the sanctuary of my own home where I can simply talk with Rachel, focusing only on what we are saying, and not on how we say it. Then, by the second sentence some French word slips past my lips. Dommage. 3 weeks ago, I was covering Urgences (i.e. the ER) in Carlan’s absence, and the nurse showed me a new case. He is a 60 year old man, very polite despite his problems, laying flat on his back, with arm paralysis, specifically bilateral shoulder and elbow paralysis, though he could still shake my hand weakly. He said it had been there for a few weeks, and he had gotten some injections at another hospital that had helped, but now it recurred (which I doubted then, and I still doubt now). I examined him and found more or less what he said: flaccid paralysis in the shoulders and elbows of both arms, no spinal deformity, but an odd bulging of his lumbar spine, which he said was painful, though he didn’t complain of leg problems, just general weakness. I was wishing for an MRI, so I could look at his spinal cord, and wondering what on earth we could do to diagnose or treat this guy. 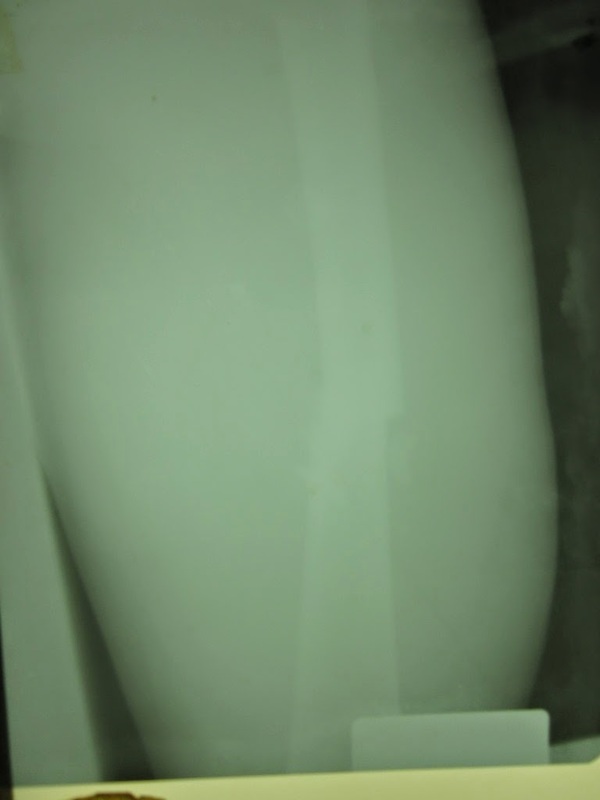 His lumbar spine bulge could have been TB of the spine, but it didn’t explain his arm symptoms, since a spine problem there would only affect his legs and bowel and bladder function. So I ordered an xray of his cervical spine and another of his lumbar spine, and sent him off to our temporary xray tech: Jason. 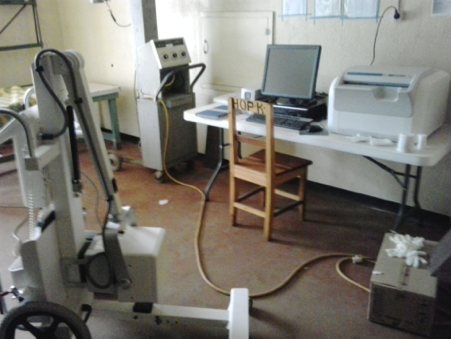 Several weeks ago, we inaugurated our digital xray system here at Kibuye. It seems out of place, in our otherwise very basic hospital, but Jason prioritized it on the grounds that it will save the hospital money, improve record keeping, and hopefully improve the quality of our films. But the only guy in the department that could work a computer was getting married and was gone for a few weeks, so Jason became the xray tech, and so he took the films of my patient. I didn’t really expect to find much, since only the bones are visible, and I though the heart of the problem was in the spinal cord. Mais voilà! However, we found that our gentleman had compression fractures in both his cervical and lumbar spine, at levels which could certainly explain his systems. He was placed on some steroids, while we pondered what to do. What caused this problem? He’s not a really old guy, with no other evidence of osteoporosis. It doesn’t look characteristic of multiple myeloma. TB of the spine? In two locations? I’ve never seen that. We checked his HIV status, and I emailed two Tenwek friends with more experience than me, and they both responded in the same fashion: They have never seen TB of the spine in multiple locations separated by such a great distance. So what is it? Probably cancer. Metastatic from somewhere. Where? Does it even matter? We certainly can’t treat it at this advanced stage. He stayed on our service for 2 1/2 weeks, each day polite and gentle, even when he lost his ability to shake hands. Several times, he quietly suggested that we change his medicine, because the present one wasn’t helping. We again explained that, unfortunately, there are not any other ones to give him. His wife stayed with him, and continued to meet me with a smile each day. Monday, we sat down and talked more in depth. We explained that we have nothing further to offer, and that he could go home if the family could find a way to transport him. They said OK, and took the information in the typically stoic way of people who have never expected their lives to be free of such tragedies. We prayed together. They thanked us. We expressed our regrets that we couldn’t do more. And now he is home. And we continue to pray for him. As much as we try to be minimalists here in terms of supplies and equipment in order to keep costs down, there are some things that are very hard to be without and still provide good quality medical care. X-ray is one of those things. 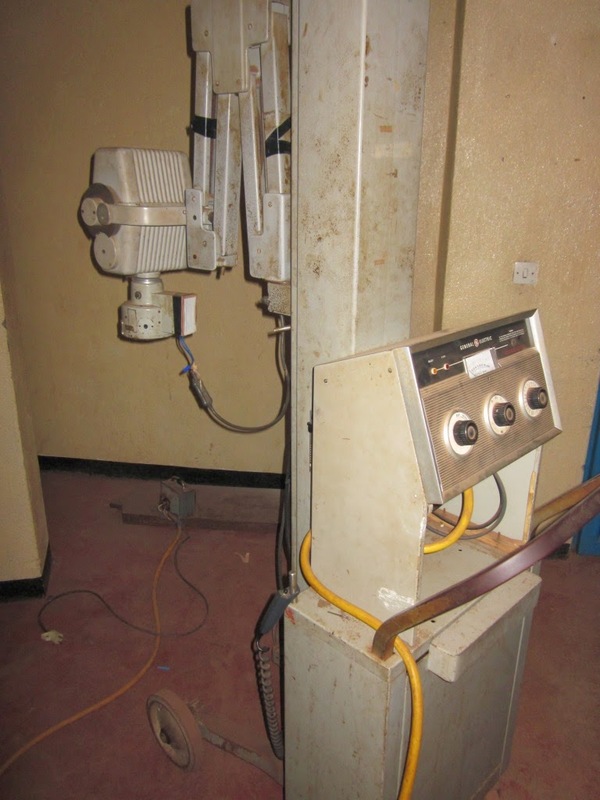 Up until a few months ago, this 1978 model veterinary x-ray machine was providing the only x-ray capability we had at Kibuye Hope Hospital. In addition to not having enough strength to do x-rays that require high penetration (chest x-rays, abdominal x-rays, spine x-rays), it was always tough to keep a good supply of the film and the chemicals needed to process the film due to shortages in the country. 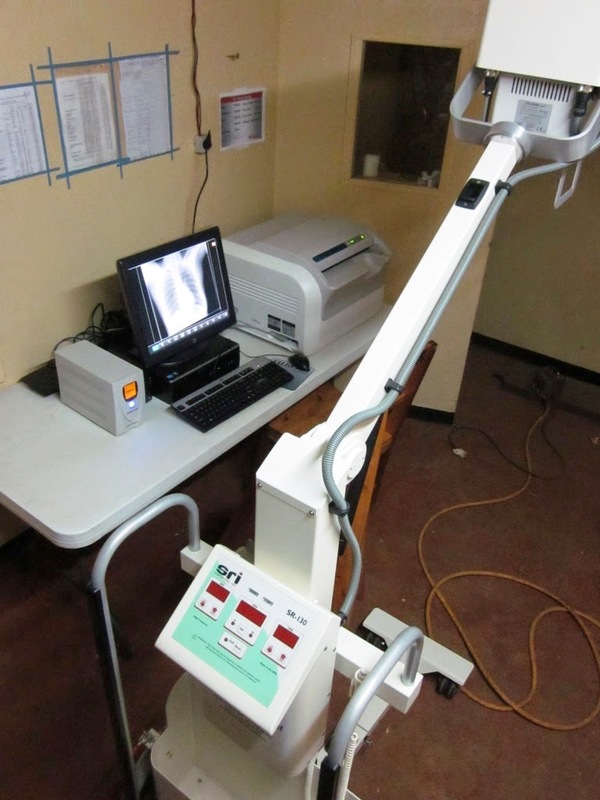 But now, thanks to the generous donation of some friends, we have a brand new x-ray system. 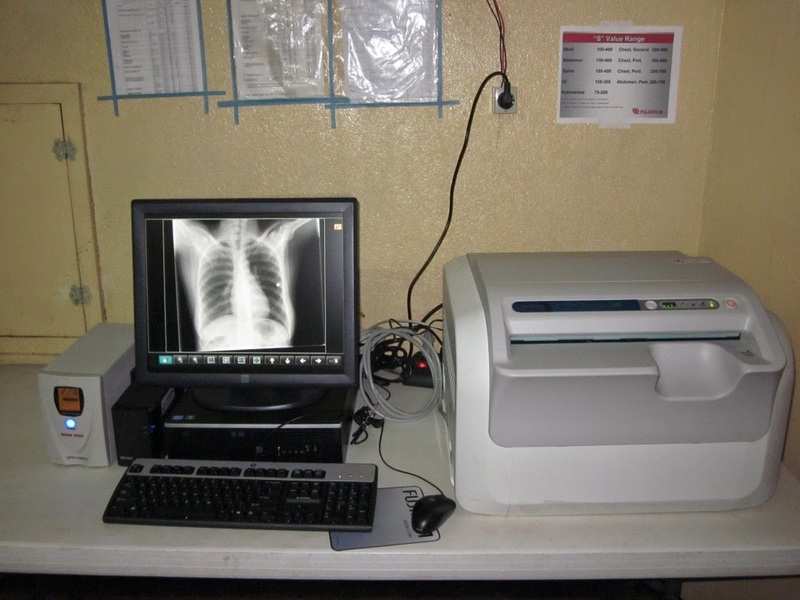 Not only does it have enough "oomph" to do all the x-rays we need, but it is also digital, so that there is no need to have film or chemicals to process the images. This has given us a tremendous boost in the level of care we can offer here. Below is a comparison of the old and the new. 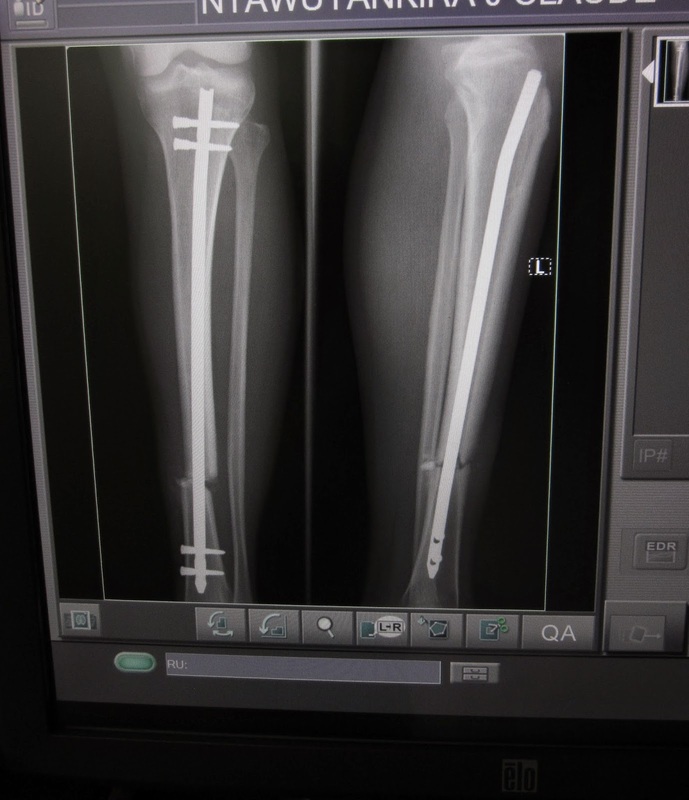 The first one is a mid-shaft femur fracture in case you can't tell! 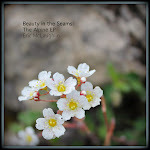 It’s hard to believe that we haven’t officially blogged about the place that is so dear to several team members. It also doesn’t seem appropriate that I am the one writing this blog, but since those who frequent the "Man Cave" would rather spend every spare minute of their crazy busy schedules working on construction projects in said location, I decided to take a stab at it. The “Container-Plex” as it is most often called (although it has other names such as “the Man Cave” and “HOE=Heaven on Earth”) was actually the first McCropder building project to be completed....because, of course, it is by far the most important. The container-plex is John & Jason's brain child and the fulfillment of their boyhood dreams as missionary kids in Africa. The ends of the structure are the two shipping containers that arrived this past year. The bottoms of these containers were painted with oil and then set on concrete bases to deter termites and other critters. For more about how these containers got onto the concrete slab in the first place, solely by manpower and some logs, watch the videos below. The containers have been painted and Carlan has some top-secret, artistic plans for the exterior. (The guys promised the gals to make it look nice since it is in the dead center of the residential housing, with a ring of future houses planned to encircle the shrine....because, as I said before, it is the most important building.) 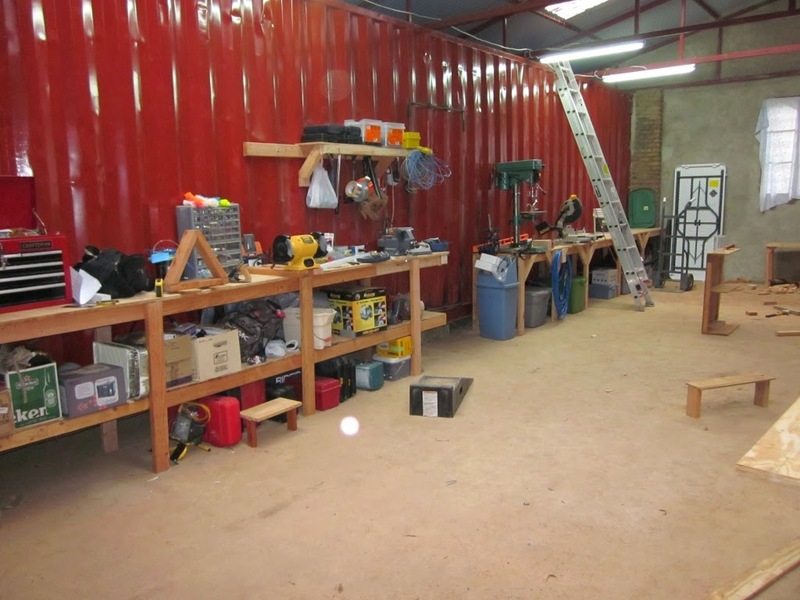 The space in between these containers was bricked in and a roof constructed in order to create a giant workshop which is absolutely loaded with enough tools and gadgets to make any handyman drool. 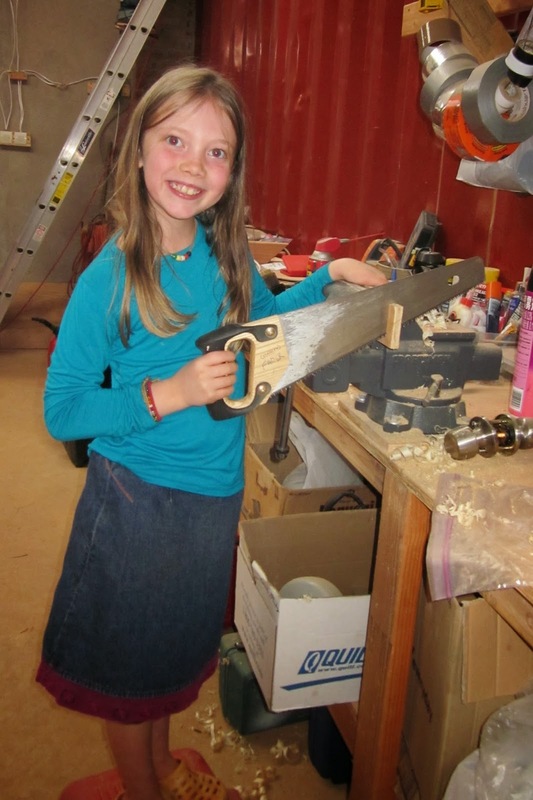 Many of the kids have tagged along with the dads to work on various projects such as storage shelves at the hospital, a sample “crib” for the nursery, and a sample incubator for the NICU. I think that we should be able to formally add “Workshop 101” to the Kibuye Hope Academy curriculum pretty soon! As much as I make fun of the guys for their over-the-top love of this place, I am very grateful to have handy-men on the team. When you live in Central Africa, it's important to know how to fix things yourself. I also got a Lego table in the bargain, complete with a trap door for easy clean-up! That's right...now it's the ladies' turn to drool. Since we first arrived in Burundi (almost a year ago!! ), we have tried to keep our flow of visitors to a minimum in order to more deeply invest in Kirundi language study, relationships with Burundians, and the myriad of tasks associated with moving to a new place in a foreign land. Now that our "visitor moratorium" has ended, we are looking forward to welcoming some special visitors over the coming months, including some family. Of course, people want to spend time at the hospital and see the work that's going on there, but it's also nice to sneak in some fun trips. The question is -- what is there to see and do in one of the poorest countries in the world? Due to Burundi's dense population and its political crises, there are no large game reserves to attract tourists (like Kenya or Tanzania) or world-famous gorillas (like Rwanda). 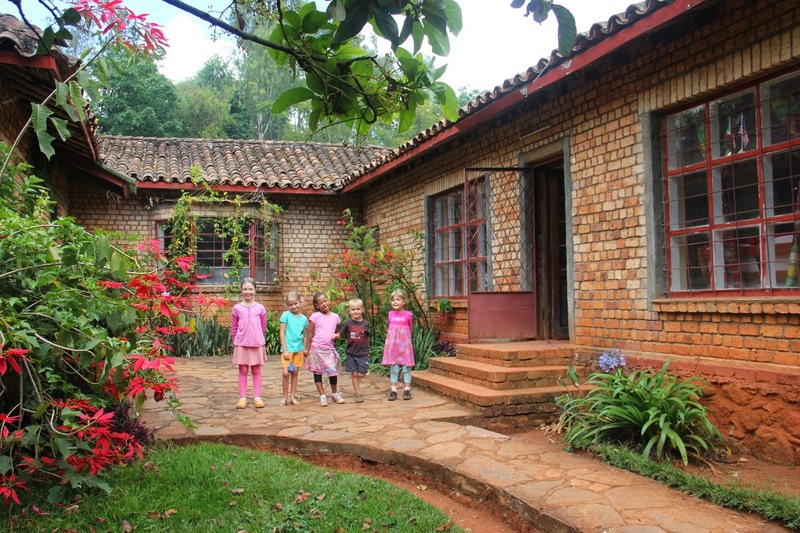 However, we have been pleasantly surprised by some quaint little spots that we have discovered, and most of them all within a 45-minute drive of Kibuye! 1) Karera Falls - this is a great little park that has several different waterfalls. Chances are high that you'll be the only ones there and walking sticks are included in the nominal entrance fee. :) Our team took a trip here in December and enjoyed a nice picnic lunch after our hike. 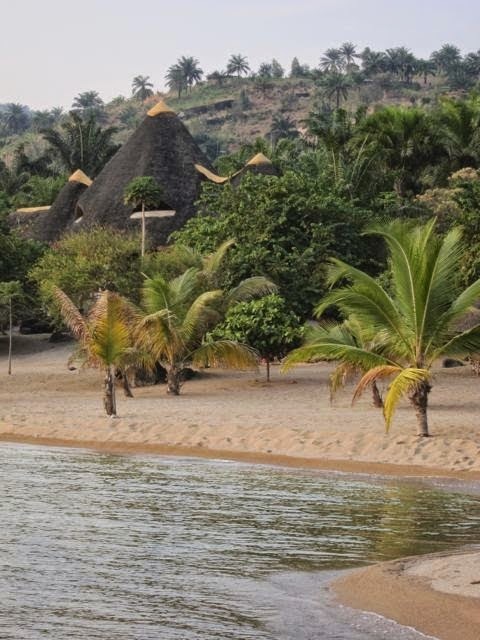 2) (Southern-most) Source of the Nile...believe it or not, is in Burundi! It was discovered by a German explorer, Burkhart Waldecker, in the 1930s. The pyramid shown below (since his quest for the source began in Egypt) was erected at the top of the hill from which the spring flows, which also happens to be located on the Congo-Nile Continental Divide. They've done a nice job making this site friendly to tourists, without being over-the-top touristy (which I'm pretty sure is impossible to find in Burundi). There are some beautiful concrete & stone picnic tables and nice gazebos for relaxing, enjoying the view, picnicking, and/or shooting footage for Star Wars VII. 3) Hot Springs - We were told about this place while we were visiting the Source of the Nile. Literally, you drive for about 15 minutes until the road comes to a dead end. That's how you know you're at your destination. It's amazing how this gorgeous spot with several different warm pools still seems so untouched, natural, and wild. We're hoping that the water was warm enough to kill any unfriendly, microscopic creatures that might have been living in the water. There was a Burundian soaking in there with us (see if you can find him), so hopefully that means it was okay to get in! I imagine that there was a place very much like this in the Garden of Eden. 4) Of course, there are also many local trails to be explored nearby and what better way to do that than on a "piki"! 5) Kibuye Rock is a must-see for any Kibuye visitor. 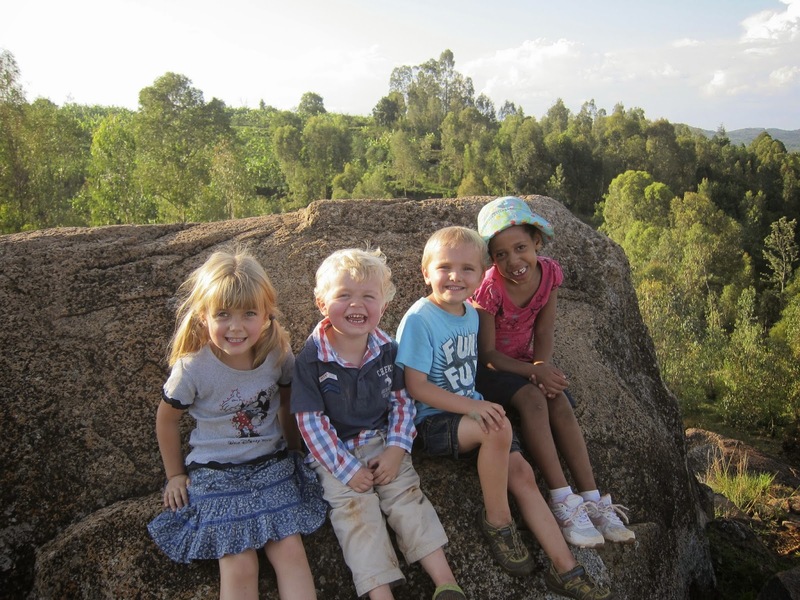 The 20-30 minute walk uphill from the hospital offers a lovely view of the hospital grounds and some cool big rocks to play on, in addition to an almost-guaranteed tour group of 20+ Burundian children. 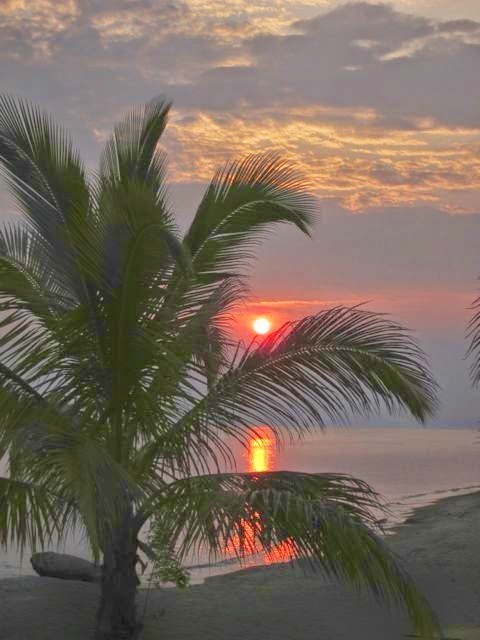 6) A little further away, near Bujumbura (Burundi's capital) is beautiful Lake Tanganyika, the longest and second deepest lake in the world. The views are spectacular, but beware of crocs, hippos, and schistosomiasis (also known as "schisto", which is now part of Sammy's vocabulary). So, the next time that you happen to be in our neck of the woods, we'd love to show you around and hopefully over the years we'll discover many other charming little spots in this beautiful country! The last school bell has rung for the first official school year of Kibuye Hope Academy. Actually, we didn't have a school bell. We had five school-aged kids, a couple of moms-turned-elementary-teachers, many books, and a lot of fun doing school in our two-room schoolhouse. The school year began in our temporary home in Banga, where we emphasized hands-on science. 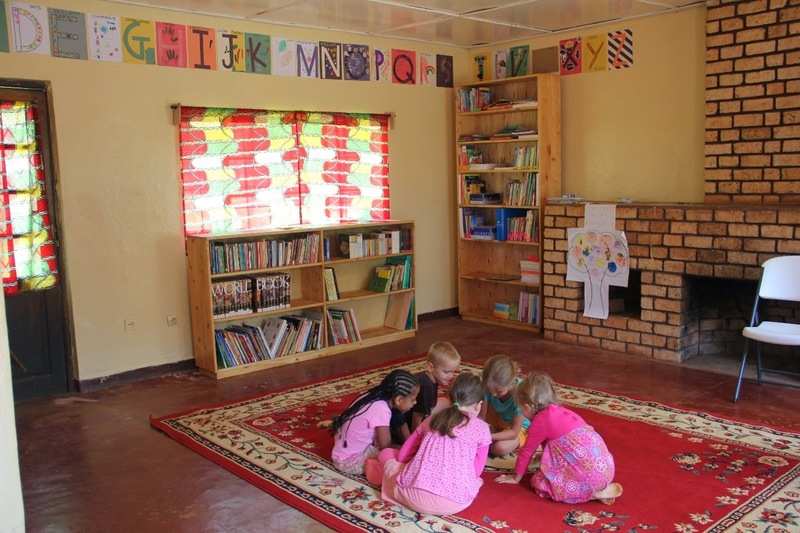 Upon moving to Kibuye, we expanded our curriculum and began meeting in this school room:. And now the kids (and moms) are mostly ready to advance to the next grade. Except that the older kids are continuing their math and English classes with their mothers through the summer, due to the December arrival of most of the school books. We also continue French class throughout the summer, and every day we all have informal Kirundi study everywhere we go. Life here includes constant social studies lessons for these kids, as they are now advanced students in Survey of World Cultures. 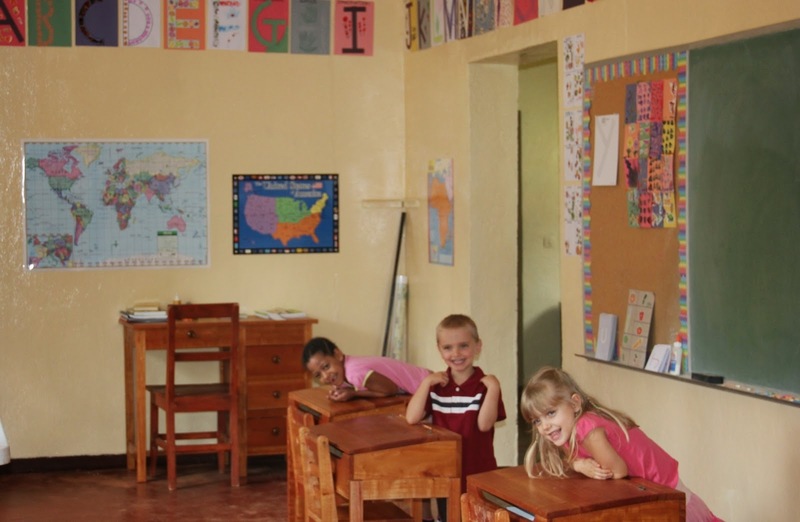 Our 9-year-old did kindergarten in Kenya, first grade in the USA, second grade in France, and third grade in Burundi. That has definite perks, and at the same time, we're looking forward to staying in the same location for the next school year. Happy summer to all.